Neck pain drugs are the most common form of pain management offered to upper dorsopathy sufferers, particularly in America, Canada and Europe. Westernized medicine has a virtual love affair with drugs for many reasons. Patients love them because they are fast and easy to use and actually work in most cases. Doctors love them even more, since they make for fast and simple treatment and are incredibly profitable. This is especially true being that so many big pharmaceutical firms actually pay doctors to prescribe their products and offer many other financial and professional benefits, as well. That miracle drug may be making you feel a bit better, but more importantly, it is driving a huge and developed economical machine at the potential risk of your health. This important dialog helps patients to objectively measure the benefits of drug therapies for neck pain against the many significant risks. Pharmaceutical products are thoroughly researched and revised to provide maximum benefit for minimum risk. This means that most of them actually do work, unlike some complementary and all-natural healing arts which only provide partial relief for serious pain. This makes drugs extremely popular with patients. Take a simple pill and the pain begins to fade. The other main benefit to drugs is that they make people rich. Pharmaceutical companies and doctors are the biggest beneficiaries. Doctors never had it so easy as they do now, since there are drugs for virtually every health issue. Doctors rarely have to do any actual healing at all. They just hand out scripts and get a hefty paycheck for 5 minutes of their time. First off, drugs are bad for you. Sure, they may have positive benefits, but they also enact many health risks. Did you ever Actually read the entire warning label on your prescription? These can be nightmarish. 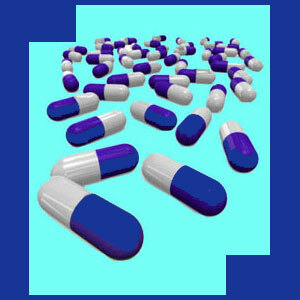 Common side effects of many drugs include organ damage, blood toxicity and death. I can not even begin to tell you how many people I know who were seriously and permanently damaged by pharmaceutical products, and not just prescription ones, either. Mixing drugs of any kind with each other, or with alcohol, can be disastrous. Kidney and liver damage, bleeding ulcers and death can result. Next, drugs rarely cure anything. 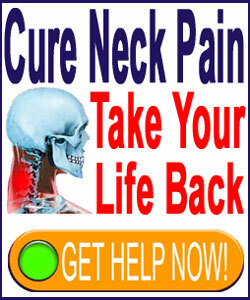 They are merely symptomatic when used for neck pain. They are not designed to be used forever, but this is exactly the only option given to patients who still have pain after years of depending on drug therapies. That means years of accumulated poisons in the body and years of suffering with no real lasting benefits provided. Drugs are known to lose their effectiveness over time as the body develops a tolerance to them. This means a constant escalation in dose size or switching to ever more powerful drugs with ever more dangerous side effects. Not good. Finally, the very real problem of addiction is a terrible specter associated with pharmaceutical product usage. Prescription drug dependency is a catastrophic concern in modern society and acts as a gateway to illicit drug use, violence and death in many cases. The pain management specialty is one of the main causes of this epidemic problem in America, since they have been known to hand out pills like candy. We caution all patients to learn more about any substances they use to control pain, inflammation, spasms or any other neck pain symptoms. Read up on the product in books or online and know all the risks. Discuss alternatives to drug use with your doctors and look for more natural and holistic ways of managing pain. We know that this can be a tall order, but for your own health, please consider it seriously. Drug use will never solve your pain problem. It will just sweep it under the rug to hide for a time, if you are lucky. Eventually, the monster will grow in its safe haven and come to show itself once again. Meanwhile, the very substances that hide it will join in adding further complications to your health.